Rudy Van Gelder, an audio recording engineer who captured the sounds of many of jazz's landmark albums, died Thursday morning in his sleep. He was at his home studio in New Jersey, according to Maureen Sickler, his assistant engineer. He was 91. Van Gelder's work is heard on hundreds of albums, on record labels like Blue Note, Prestige, Savoy and Impulse, featuring the likes of Miles Davis and John Coltrane, Art Blakey and Thelonious Monk, Duke Ellington and Count Basie, Sonny Rollins and Wayne Shorter. His contribution to jazz was twisting knobs and setting microphones, but it proved vitally important. For more than six decades, Van Gelder's innovative approach to recording created a trademark sound that many call definitive. As a result, he became the go-to guy for musicians looking to accurately capture their unique sound identities on record. Van Gelder started by recording his high-school friends in his parents' living room in Hackensack, N.J., in the 1940s. Those early sessions turned into a side career in audio recording — by day, he was a practicing optometrist — which turned into a full-time occupation. He was not a producer with artistic control, but as a technician, Van Gelder handled every aspect of the recording process from setup to mastering. He was notoriously secretive about his techniques, though part of his method involved how he placed each instrument in its own sonic space. That allowed for the subtleties and dynamics of the ways musicians manipulated the brass and wood of acoustic instruments. In a 1993 interview with NPR, Van Gelder explained the motivation for his meticulous approach to studio recording. "What we're doing is important," he said. "As opposed, for example, to a club date where a musician goes and couple hundred people are going to hear what he played that night. If he's making a record, even if it's not a very successful record, thousands of people ultimately are going to hear it. And I consider that important." Saxophonist Sonny Rollins worked with Van Gelder on many sessions, including those which resulted in Saxophone Colossus, A Night At The Village Vanguard (a live remote recording) and Thelonious Monk and Sonny Rollins. On the phone at his home, he remembered Van Gelder as "very much an artist" whose talent allowed musicians to focus on doing their jobs. "It wasn't the days when ... everybody comes by and listens in the booth and sees how it sounds," Rollins said. "No, no — if we did it, we knew [the recording] would be impeccable, and perfect. And so we came in, did our recordings, and we left. Next thing, record comes out with superb sound. Hey, well, that's Rudy. Rudy was the engineer." In 1959, after he had already recorded the aforementioned Rollins albums and hundreds of others, Van Gelder moved from his parents' living room to a custom-built recording studio in nearby Englewood Cliffs, N.J. It had nine-foot-high cathedral ceilings, appropriate for a space that would become a shrine for jazz musicians. 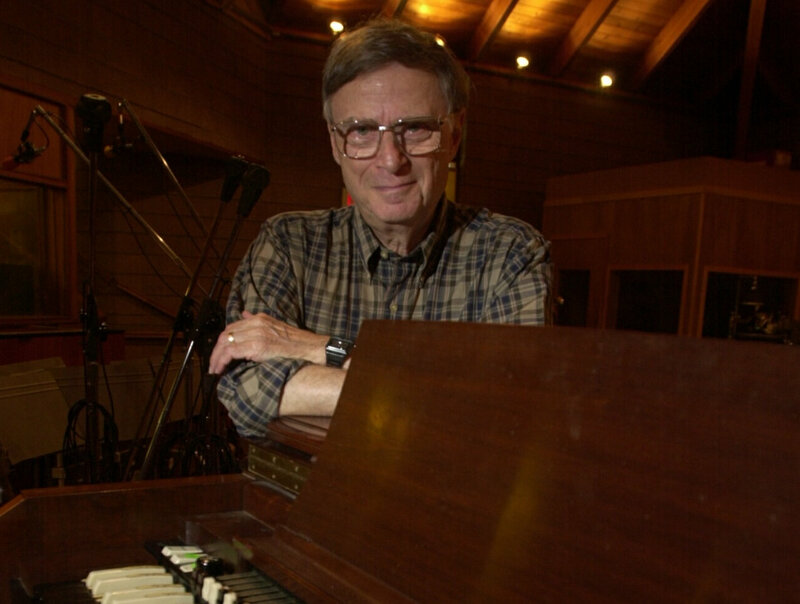 Rudy Van Gelder took pains to credit the performers who created the sounds, as well as the producers who chose his studio to document that work. Still, they kept choosing his studio. "We get albums that sound the way they want them to sound," Van Gelder said in 1993. "The rest of it can all be very difficult — including me, personally and any other way. But I try to make sure that nothing leaves here that is not flattering to the musician and that is not what the musician wants. When they tell me that they like what they hear, what comes out of here, then that's my reward." As he entered his 70s, Van Gelder helped Blue Note and Prestige take his original analog recordings into the digital age by remastering them. Don Sickler, a musician who is married to Van Gelder's assistant Maureen Sickler, says Van Gelder was working on a mix just last week. When he died, he was just down the hall from his beloved studio.